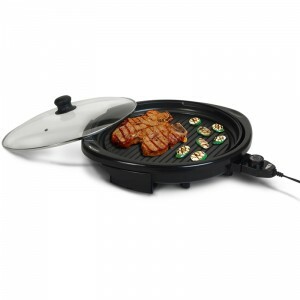 Convenient grilling is what makes this indoor BBQ grill perfect for your busy lifestyle. No longer will you have to fire up an outdoor BBQ just to cook a few steaks. Why wait until Summer to enjoy a juicy grilled burger? Plug it in, and get to grillin’. 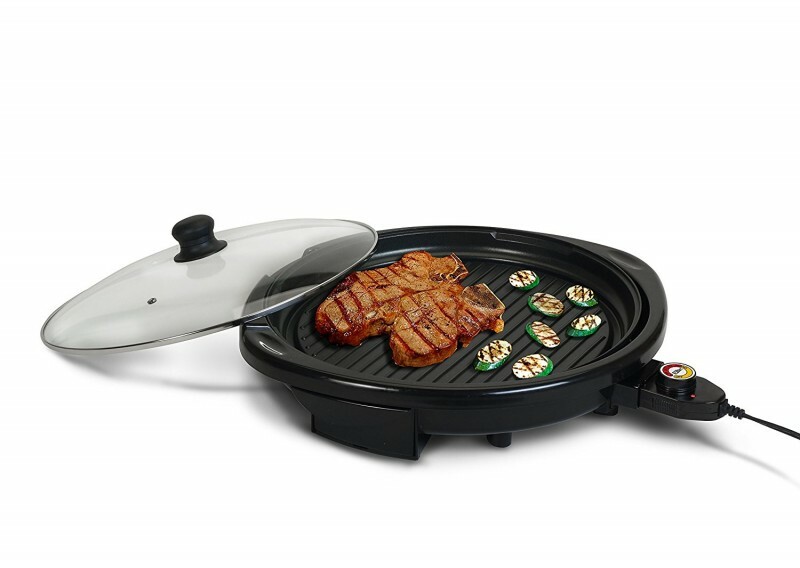 Enjoy perfectly grilled meats, seafood and veggies any time of year with the Elite Cuisine Indoor Grill. With a high searing temperature that locks in flavor and an adjustable temperature knob to customize grilling, you’re sure to have delicious results every time. 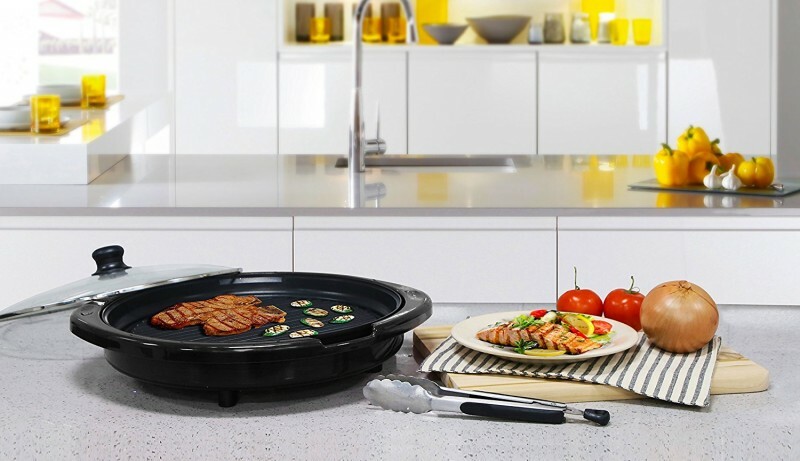 The nonstick cooking surface allows enough space to grill multiple items at once. It also comes with a large drip pan to collect excess oils and grease. 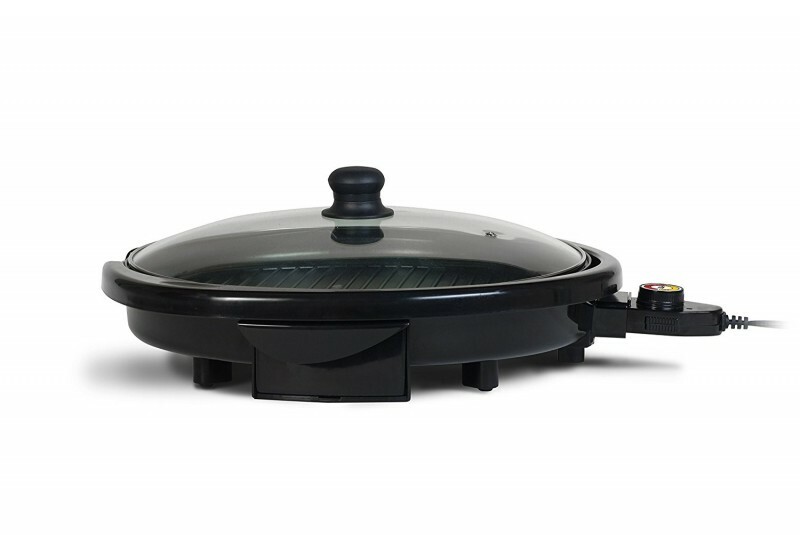 Large, slightly domed lid allows you to cook and prevent splashing of grease or oils. 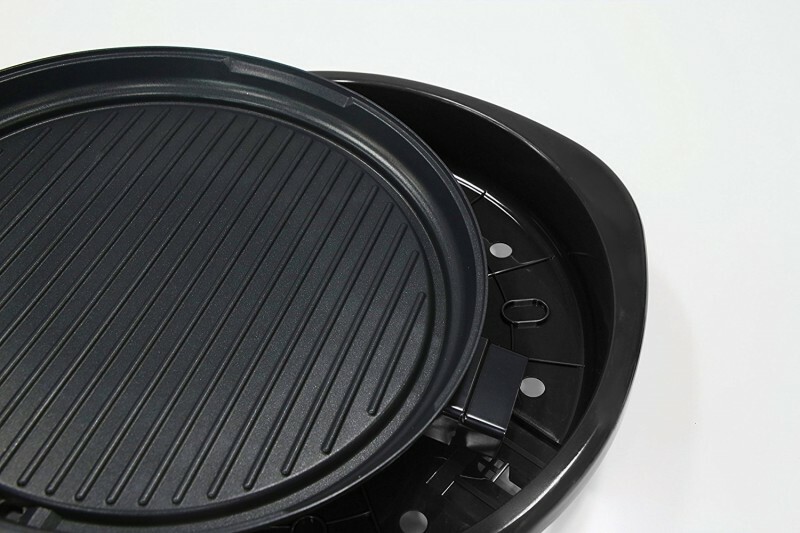 Simple to clean: the drip pan is removable and dishwasher safe; grill pan is removable and fully immersible. 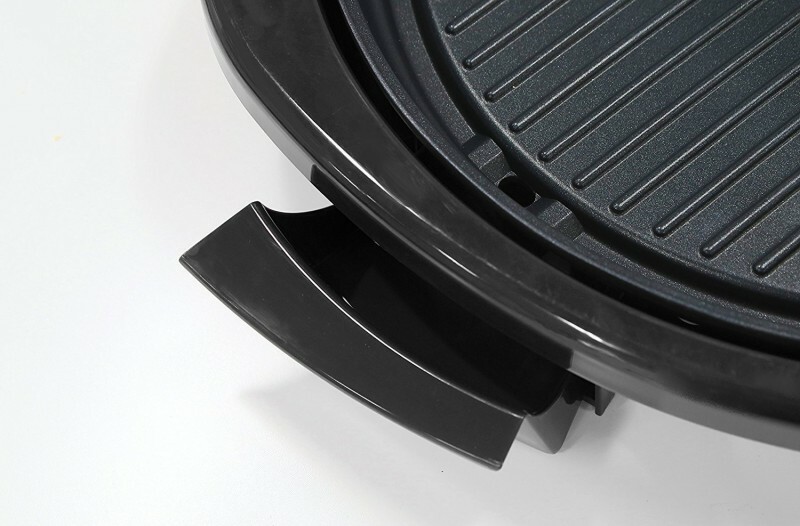 Adjustable heat delivers even heat throughout the grill offering you an even grill. 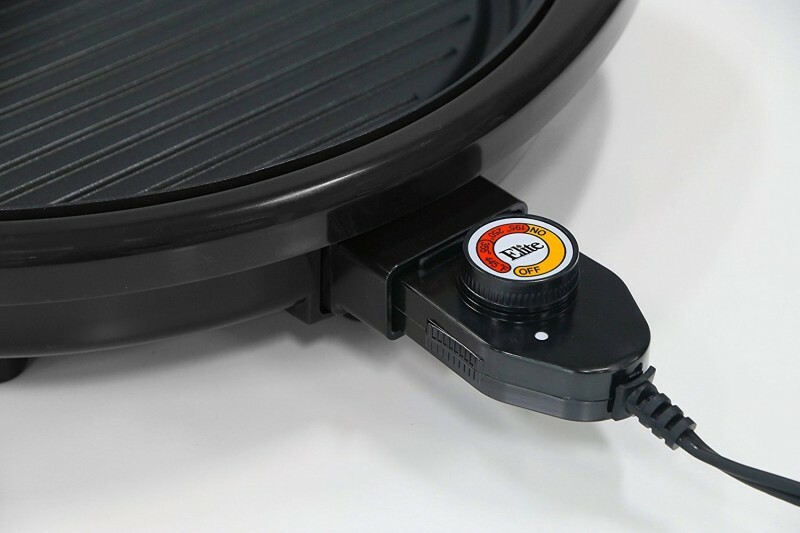 The drip tray will provide you with less grease in your food. The drip tray is removable as well as dishwasher safe (top rack). The non-stick interior makes it super easy to clean while helping you enjoy your meal. 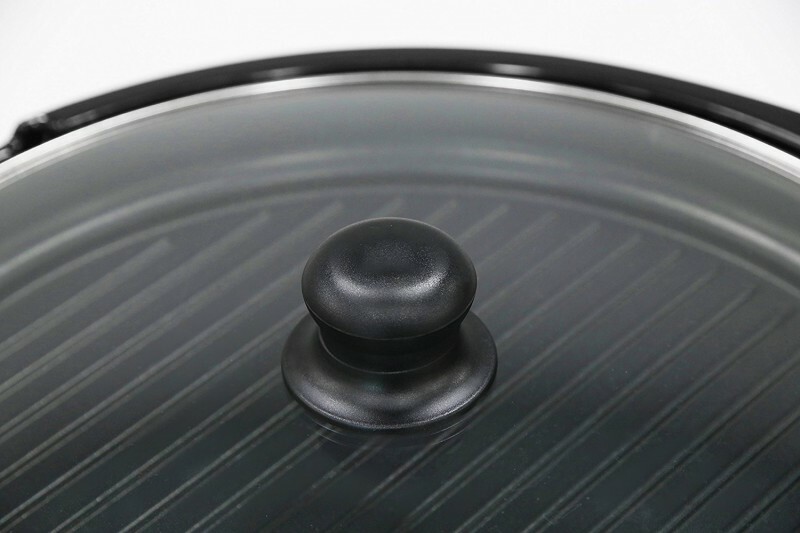 The stainless steel vented lid with tempered glass keeps you safe from splashes while cooking/grilling.